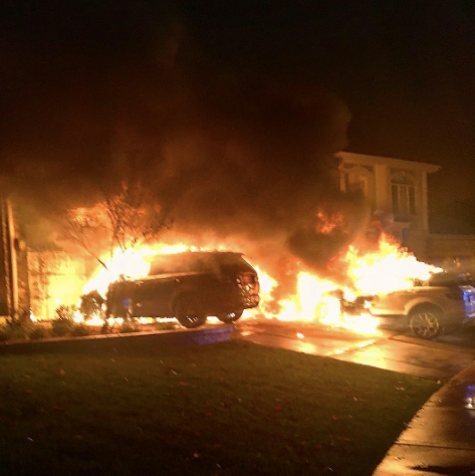 Former UFC lightweight champion Anthony “Showtime” Pettis found himself under attack at his Milwaukee home early Thursday morning, three of his cars set ablaze in his driveway. Police and firefighters were called to Pettis’ home around 1 a.m. Thursday morning, after a neighbor noticed a car speeding through the neighborhood, which was followed by a loud noise and two cars igniting in Pettis’ driveway, according to FOX6Now.com. Fortunately, emergency responders acted quickly and no one was injured. There was no information regarding a suspect or motivation for the attack at the time of publication.